Today the nation mourns the passing of George H. W. Bush. A lot has been said and written about the steady leadership and personal decency of our 41st President, the last President to have lived through the Depression and the Second World War. 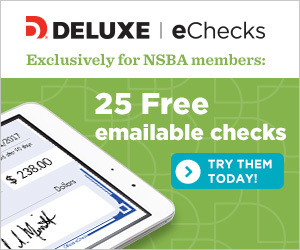 He also holds a special place for me, for NSBA, and for the small-business movement we have helped to lead. 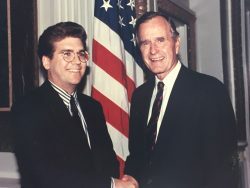 As a young staffer for NSBA (then, NSBU), President Bush was the first President I ever had the honor to meet in person. When a last-minute summons came to join other members of the business community in a meeting with White House staffers about labor issues then pending in Congress, I found myself in the Roosevelt Room of the West Wing. Chief of Staff John Sununu was the headliner in the invitation, and my boss at the time, John Galles, was on the west coast and couldn’t make it back in time. I surely was the youngest and most junior person there. Remarkably, this meeting was happening in the days immediately after the commencement of Operation Desert Storm, the ground invasion to push the Iraqis out of Kuwait. Even more remarkably—near the end of the meeting, the President himself walked through the door, individually greeted everyone there, and proceeded to give us a 20-minute update on the status of the war. It was an episode that put on display many of the qualities being discussed this week: a clear perspective on history and the U.S. role in the world, command of the facts and relevant issues, a cleared-eyed view of the trade-offs necessary to forge any meaningful long-term policy, and courtesy and respect for every individual there. 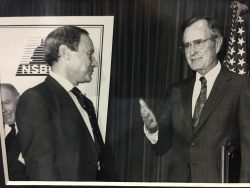 The year before, during our 1990 Washington Presentation, President Bush had become the first President to deliver an address to a meeting of the NSBA. 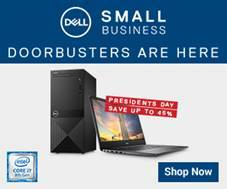 In his remarks, the President showed a deep understanding of the vital importance of the small-business community, borne largely of his own experience starting his own company in Texas decades before. In fact, the Bush Administration actively identified the unique needs of smaller businesses – the beginning of the higher profile that small-business has taken on in the years since. Because of the President’s interest and experience, NSBA and the small-business community enjoyed a more open door to express our concerns than had been the case for many years. Whatever your policy views or partisan affiliations, I hope you will join us all in saluting the remarkable life of the George H. W. Bush, statesman, hero, businessman, President.